Valencia was always on our list to explore as a potential new home base for us when planning our European travels last year. When deciding where to go and when, we realized the opportunity to visit the city during Fallas. This is Valencia's biggest festival and was recently added to UNESCO's Intangible Cultural Heritage of Humanity list. It seemed too good an opportunity to miss so we planned on arriving in Valencia a few days before the official start of the festival which is held on March 15th to 19th every year. We knew we were in for a treat when we did our research ahead of time but could never have anticipated such a noisy, fun, crazy, crowded, amazing experience that stimulated all of our senses. Our eyes took in all the amazing works of art and light displays that are the Fallas installations built in almost every neighborhood. We felt the hustle and bustle of the crowd, as we were crammed in like sardines with other festival goers at many of the main events. We tasted delicious street food, baked potatoes, churros and bunelos dipped in hot chocolate. We smelled the gunpowder from the firecrackers and fireworks released everywhere in the streets for days. And our ears - well I don't think our ears will ever forget the noise of La Mascleta in the town square and fireworks being released across the city at all hours of the day and night. There was no escaping the festivities. The Fallas are assembled on almost every corner. Each one is made up of smaller statues called ninots. As well as the full sized sculptures there are childrens fallas which although much smaller are no less elaborate. We walked far away from the center of activities in the old city one morning and still came across them at every turn. The local Falleros & Falleras in each neighborhood/city block spend all year planning and then constructing their unique creations. 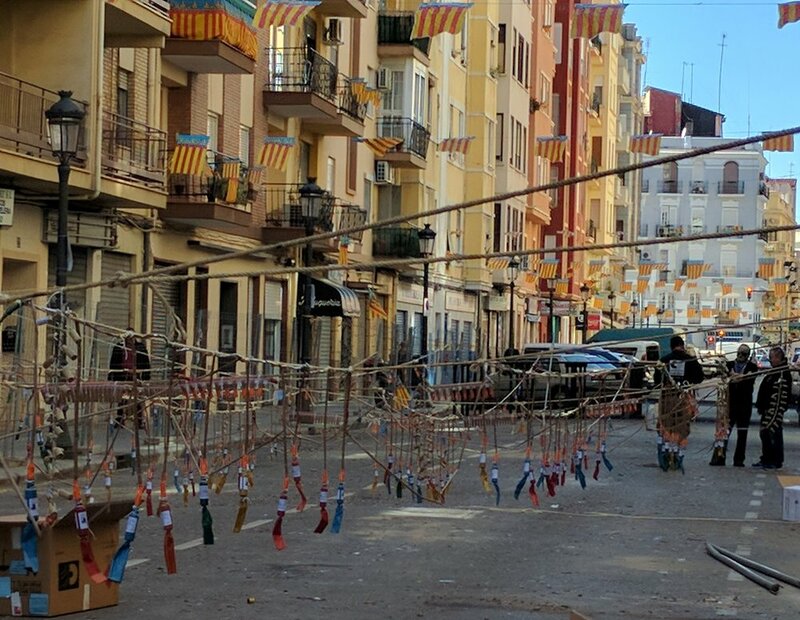 Throughout the festival there are block parties as each community sets off fireworks and cooks paella over wood fires in the street in celebration of their efforts. We were impressed by the amazing sense of community and participation of all generations in the activities. During the daytime we took the opportunity to wander around and view these Fallas. We also went one afternoon to experience La Mascleta - which is kind of an audio firework display that is held in the Plaza del Ayuntamiento every day at 2pm from March 1st to 19th. Wow - what an ear-bending experience. It starts of with a rhythmic release of very loud firecrackers and ends in a deafening crescendo of gunpowder and smoke. As well as these lunchtime fireworks there are evening firework displays during the five days of Fallas. They are released anytime between midnight and 1.30am depending on the night. These are the more traditional visual and audio extravaganza. As well as fireworks there are fabulous light displays all over the city and in Rusazfa (the neighborhood we are staying in) has some of the most incredible displays which at certain points of the night are transformed into a synchronized light and music shows (see videos on our Instagram and Facebook feeds). The light displays were all over the city. This was one of the most spectacular. Throughout Fallas, parades seem to spontaniously occur all over the city. We had marching bands parade past our apartment every hour or so during the festival. The two main parade events we witnessed were the Flower Parade which happens on the 17th and 18th of March. And the, frankly bonkers, Parade of Fire on the last day of the festival on March 19th. The Ofrenda de Flores (Offering of Flowers) was beautiful to see. 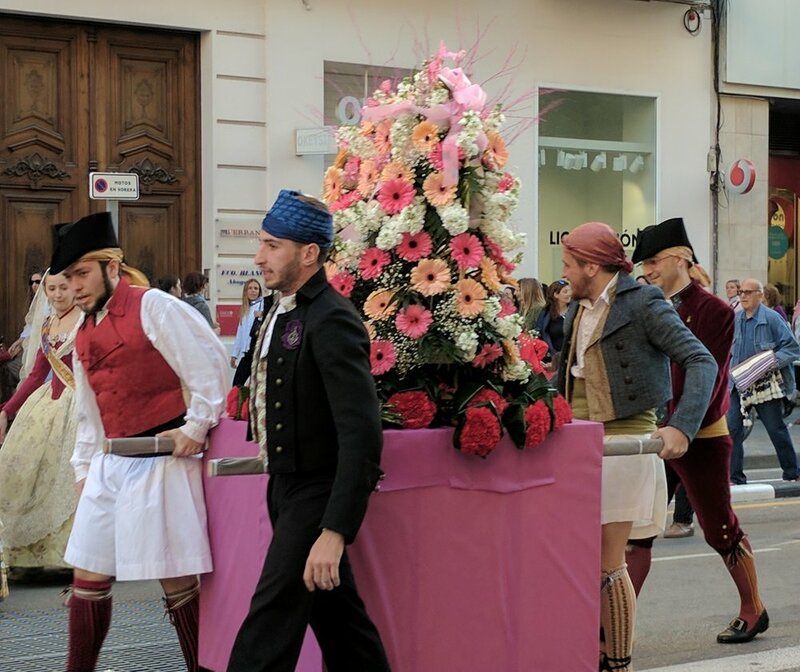 People from all over the province dressed in sumptuous national costumes bring flowers to the Plaza de la Virgen where the bouquets are used to construct the tapestry cloak of the patron saint of Valencia. Finally, on the last night of the festivals all the Fallas are burned (except the winning Ninot). At 10pm they burn the children's displays and then at midnight is time for the main event. Every full-size display around the city is burned to the ground. Of course setting fire to them involves firecrackers - and watching these massive works of art explode in flames was both amazing and in some ways sad. But we were left thinking that it is a perfect metaphor for life. Though the Fallas exist for just a short period of time, they have something to say about the current world we live in, they are beautiful while they exist and then they go out with a bang! And then this is how it all ends!!!! Fires all across the city. Surviving Fallas was a challenge. We didn't plan too much and chose to wander out in the crowds and soak it all in. It was like multiple festivals in one, firework displays, light and music shows, works of art, fireworks, massive fires in the middle of crowded city streets, random parades, crowds, and even more fireworks. 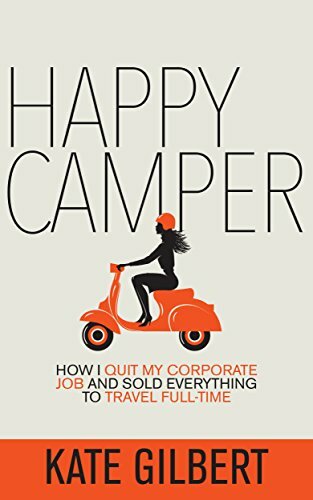 It was exhausting, and we constantly felt overstimulated but it was easily one of the most incredible experiences of our lives. Now time for a rest! I will do a separate photo post - featuring some of our favorite Fallas and Ninots.